Kaman took his education, his insight in Aeronautical engineering and with a paltry $2000 and the help of two friends he founded what is now known as the Kaman corporation. Kaman is most renown for his insights concerning the stability and control of helicopters, more specifically his work on the addition of ailerons or flaps that were added to the edges of the rotor blades to improve stability. His brilliant work was well known especially during the Vietnamese and Korean conflicts where Kaman's H-43 Husky flew more rescue missions than all other helicopters combined. But what does all this have to do with guitars you might be asking yourselves? Well, in addition to Charles Kaman's groundbreaking work in aeronautics as well as his monumental contributions to the advancement of helicopter engineering, he is also the inventor of the Ovation guitar. Kaman's understanding of vibration in helicopters compelled him to apply his wisdom to the construction of guitars, and to create a unique design that no one had seen yet: the rounded-back guitar. They found that the rounded back increased the guitar's projective capability and also helped to create a better balance between bass and treble. In 1966 Charles Kaman brought the first Ovation production model to life known as the Balladeer. The Ovation 6868 AX-5 is a shockingly handsome six-string acoustic electric cutaway that grabs your attention from the moment you set your eyes upon it. It features a solid Spruce top with multi-pieced accent wood epaulets. 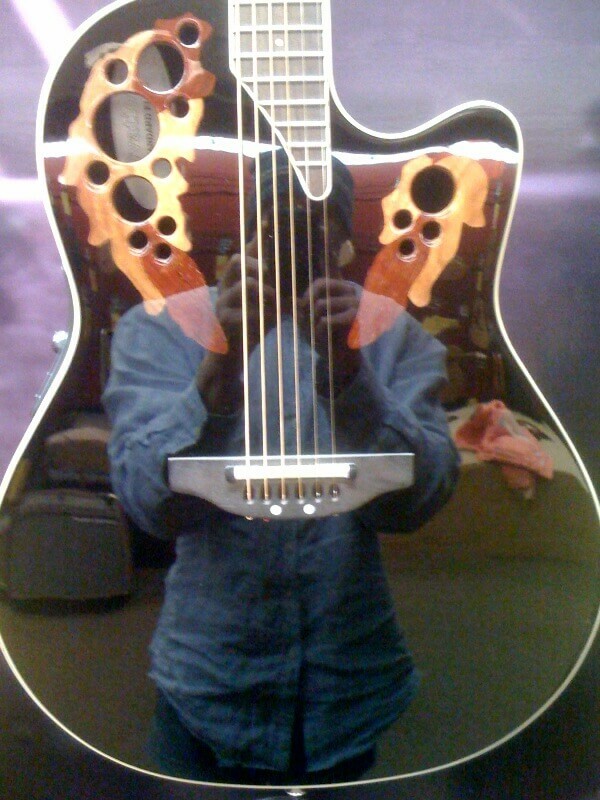 Ovation uses lyrachord for the guitar's back and sides which, according to Ovation, improves the guitar's projection value and is lighter and stronger than many wood products. The back is also coated with a non-slip substrate to help keep the guitar from sliding while playing. The fingerboard and bridge are both composed of Rosewood and the bridge comes stock with a compensated saddle to help mitigate potential tuning issues. Scale length of the 6868 Ax is 25 and 1/4" and the width at the nut is 1 and 11/16". The fingerboard contains 22 frets, all of which are accessible although 4 of these are partial frets are likely intended as decorative rather than practical. This model also includes Ovation's OCP-1K pickup with their OP-pro pre-amplifier. These high end accessories were designed in collaboration with musical artists Al Dimeola and Melisssa Etheridge in an effort to create a sound projection system that would be both user friendly to the casual player as well as the performing professional musician. The 6868 AX can be acquired either directly through Ovation or via your local musical retailer and will run you anywhere between $800 to $1149. Visually speaking this guitar is quite alluring and if you haven't seen one up close I highly recommend it. Ovation has invested quite a bit, in terms of high-quality materials as well as workmanship, into the 6868 AX and it shows in its appearance as well as its playability. 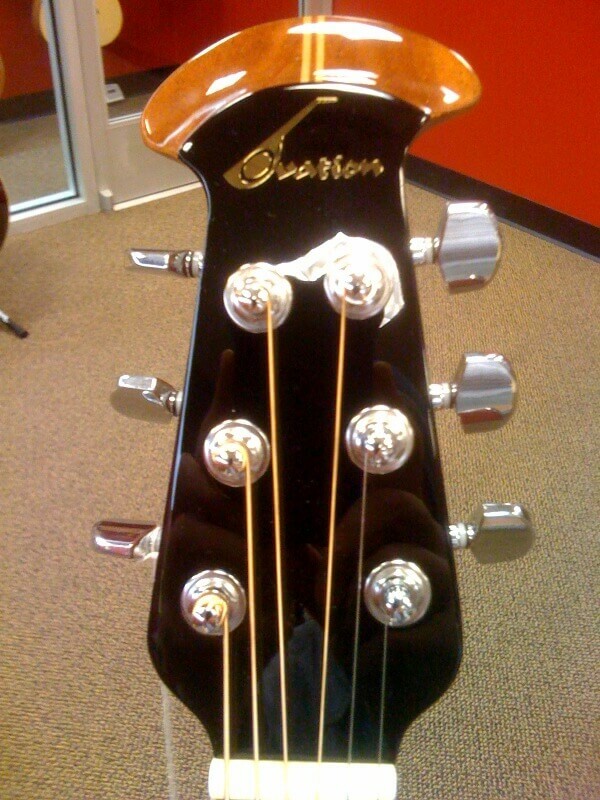 The Ovation 6868 AX-5 really surprised me especially after playing some of their lower-end acoustic electrics. This model really played well as an acoustic guitar and had warm tones with great balance between treble, mid and bass tones. The sound was bright and and resonated well throughout the room, and the action was smooth and uniform all the way up the neck. Plugged in, the guitar was remarkable and through the use of the on-board preamp and equalizer I was able to fine tune the sound perfectly. 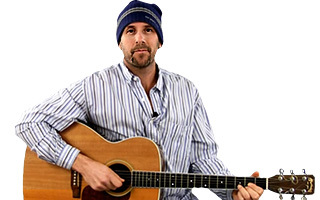 Yes, this model is a little more moolah than some of the entry level acoustic electrics on the market but the extra few dollars really makes a huge difference in both the appearance of the instrument as well as its overall playability.